YOUTUBE: BIBLE IS HATE SPEECH! Some of you may already know this, but a few weeks ago YouTube deleted a video I made claiming it was hate speech. I was trying to dispute and hopefully get the video released, but there's no fixing it now as YouTube refuses to answer any emails. And so I am just going to put it out there. As most of you know that subscribe to my YouTube channel; Google has been censoring me for years, and now that they own YouTube, they have deleted a few of my videos, placed copyright strikes on some wherein no copyright infringement happened, and they have even emailed me to alert me certain videos would not be allowed to be viewed in Israel, Germany and other nations due to their claims the content was politically troubling for those regions. They even tagged a sermon I did years ago wherein I explain how the powers that be fear our God. They actually showed their abject fear by placing a content warning on it stating the sermon was inappropriate. But every Christian with eyes that see can tell I only share Biblical truths as well as prophetic facts in all my sermons and videos. How on earth can a Bible sermon be deemed inappropriate is beyond me; but then these are the last days where this is to be expected. A few weeks ago I got an email from YouTube saying they are deleting my video titled "US Muslims want Sharia Law that demands Christians MUST DIE!" wherein I shared reputable news articles, historic records, and Bible prophecies proving how the Pope and Islam are working hand in hand in the USA to bring about Shariah law that will cause the deaths of Christians. They not only claimed what I shared was HATE SPEECH even though all of it was 100% backed by Scripture, historic record and current news reports, they deleted the video and put a permanent statment online for those that click the link claiming the video was hate speech so as to both prevent the Pope and Islam from being outed as well as make some less educated seekers choose to unsubscribe to my channel. If interested, you can view the video on my online archive at http://www.john1429.org/Shariah_in_USA.html. You can also click here for all the prophetic and historic facts linked out in detail. This video was deleted for a reason! And once you watch it you will realize they fear such truth getting out easily. In fact, when I asked YouTube to explain where the hate was in the video, and I asked them once in their dispute form and once more in another dispute form wherein I was able to remove a copyright strike on another video. I got no response whatsoever from either form! They won't even allow me to dispute it because they know if they try they will open a door they can't close! 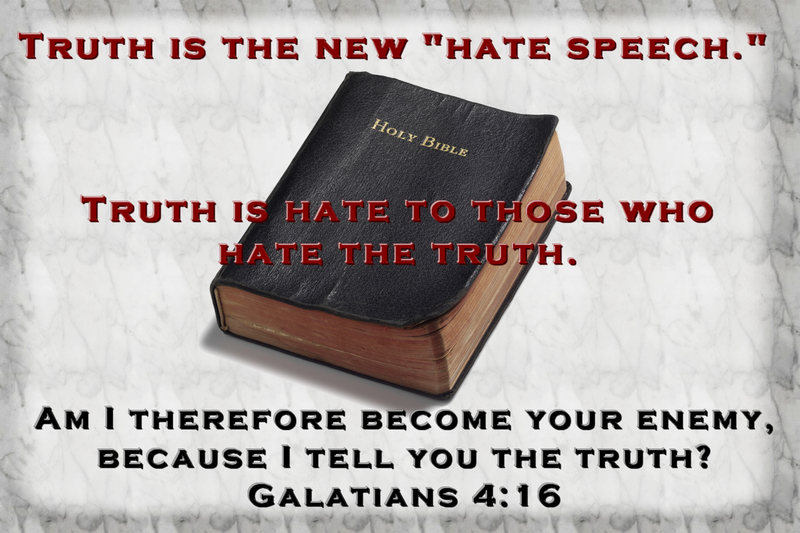 And so, as students of prophecy have been saying for years, the Bible we now use is considered hate speech right here in America by the powers that be. That all being said, I am asking all of you to pray as well as share with me any server and or software ideas on building a video server wherein all the SDR brethren can upload their videos to. We need to have a safe place where the Bible will not be tagged hate speech and the freedom to proclaim present truth will continue. We will not be using public servers as my experience with them is not conducive to a free speech environment either. With the Lord's help we in the SDR church will set up our own servers and do all we can to continue proclaiming present truth far and wide. So again, please pray and share your ideas in the comments section below. And, just so you know, the videos and studies will become portable when the time comes that we are totally removed from the Internet so as to further continue the work our God has called us to do. Amazing isn't it? In a Christian nation we now have Government teachers who have displayed all sorts of hatred towards anything about Jesus Christ who is the pinnacle of peace and love unparalleled throughout the history of mankind so much so it is illegal to even mention His name in American schools. But, if you worship a god that demands you kill Christians in as graphic a manner that pleases the Pope in Rome who actually wrote the book on torture as well as the Quran of Islam, then you are free to demand all sorts of religious rights in the government schools of America who for decades protested to demand a supposed removal of church & state. The wolves most people call pastors and priests. These so called men of God have CONvinced the masses for years now that "Allah is God" and so when a Muslim declares he is actually a god, they look at helping the Muslim bow to their god as if it's a moral duty of the Christian and so they open the government school doorways wide to allow for everything from certain Halal meals at lunchtime to actual prayer rooms in government buildings! 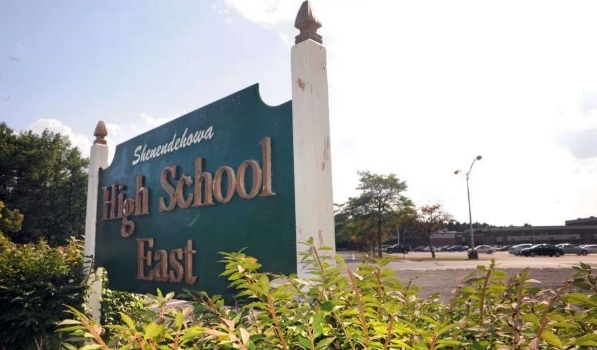 Some schools have even gone so far as to bring students into Muslim mosques to bow before Allah like the SDA church did, photographed and even published for all to see years ago. The United States government has been taken over by the Vatican directly after Reagan was shot. Reagan, a professional Hollywood liar aka actor became so fearful he widely opened the Whitehouse doors to the Pope. Since then, everything a Pope speaks on regarding one political issue after another, you will notice that within weeks and sometimes days the puppets in the Oval Office bow to him in worship to implement his plans. Need I remind you of how the Pope demanded all the Roman Catholic Schools teach Islam to the children regardless of the fact their parents are paying high tuition rates to the Vatican so as to teach "Christianity" to their children. Not long after that every Vatican sanctioned preacher and priest in the one world church, and this includes the Seventh Day Adventist church. 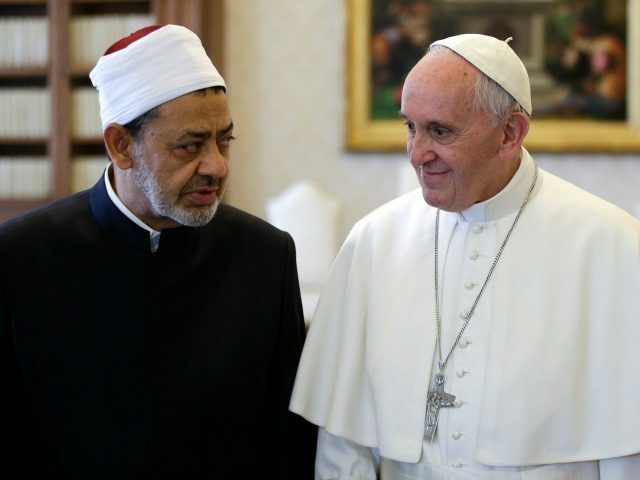 All the pastors started to push Islam into the churches and schools for the Pope so as to brainwash the children into accepting the Islamic hoards they planned to "migrate" into all nations as peaceful loving people? In 1968 a Muslim killed Bobby Kennedy, in 1972 a Muslim kidnapped and killed Munich Olympians, in 1979 the US embassy was taken over by Muslims, in the 1980's many Americans were kidnapped by Muslims, in 1983 the US Marine barracks in Beirut were blown up by Muslims, in 1985 the Cruise ship Achille Lauro was hijacked and a 70 year old passenger was thrown overboard in his wheelchair by Muslims, in 1985 TWA flight 847 was hijacked in Athens and a US Navy diver trying to rescue passengers was murdered by Muslims, in 1988 Pan Am flight 103 was bombed by Muslims, in 1993 the World Trade Center was bombed by Muslims, in 1998 the US Embassies in Kenya and Tanzania were bombed by Muslims and as the United States incorporation (most still claim is a government) declared Muslims flew two planes into the Twin Towers. And lately, we have seen one bombing after another in subways, on busses, in Malls, at concerts and even in homosexual nightclubs in the name of Allah and still the SDA leaders, Catholic leaders and all those in bed with Rome still declare Allah is God and the Muslims that trust His Vatican inspired Koran to be a God fearing peaceful man? As prophesied, there are over 30,000 guillotines on US soil right now. And who do you think is standing in line right now vying for the chance to man the lever on those guillotines for Rome when the real Christians refuse to bow to the man of sin and his mark? The so called peaceful loving Muslims. This is why I have been warning people for years that Shariah Law was soon to become valid in US Courts. That all being said, now do you see why there are anti-Shariah rallies planned for 28 U.S. cities on June 10? Seriously, if it wasn't prophesied, planned and already in the works to allow for Shariah Law to be part of the American Court System, why are people protesting all across this nation to stop it?